LCZero blog: Leela promotes to SuperFinal of TCEC! She will face Stockfish. Leela promotes to SuperFinal of TCEC! She will face Stockfish. Leela just made it on the superfinal of the TCEC tournament! There, she will face Stockfish on a 100-games match for the title of TCEC champion. As always with Leela it was a dramatic promotion at the last moment, at the last game. Where in that game Stockfish missed a win to the relief of Leela's fans. The win of course was not that easy to find. So after approximately 10 months, where first nets of Leela were born, Leela has managed to break the dominance of the so called "big-3" of the computer Chess world, Stockfish, Houdini and Komodo, took 2nd place ahead of Komodo and Houdini and went to the superfinal. It was not easy of course. Leela at this TCEC season 14, started from division 3 and cruised over up to premier division easily, promoting as 1st with ease and having a large difference from the 2nd each time. For division 3 and 2 and 1 the old 11248 net of test10 was used. But at Premier division things would not be supposed to be easy for Leela. A new net was being used, one from test30 series, the 32194. It was a mystery how it will do in the strongest TCEC division. Many talked about relegation possibilities. Others that it may even fight for 3rd place. Most predicted 3rd to 5th place. But no one really believed that Leela could break the big 3 dominance, achieve 2nd place and promote to superfinal. Yet in a dramatic fashion Leela managed to do it at the final game. Leela started Premier division with 8 consecutive draws, and was at the middle of the table with people believing that this was the strength of her and that this must be the place she would end eventually. But then she got 2 wins in the next 3 games, some other 5 draws and then suddenly went to killer mode winning 4 consecutive games! But immediately after that she lost 3 out of 4 games. Maybe that was with a crippled Leela though, as confirmed problems with Leela's GPUs overheating were reported and nodes per second of Leela in some games where pretty low for many moves. The previous GPU problems for Leela where fixed and Leela started to draw again and suddenly with just a bunch of games left, Leela was at 3nd place half a point less than 2nd Komodo and Houdini 4th very close behind! The realization that Leela can promote to superfinal started to emerge! Meanwhile Komodo MCTS has crashed twice and both times against its big brother Komodo! The one time was at a dead draw position so Komodo got half point for free there(as it got a win instead of a draw that would have been) and the other was in a game where Komodo MCTS was even slightly better even though the result would most probably be a draw also. So Komodo got an extra free point that didn't deserve over the board because these 2 Komodo MCTS crashes. TCEC rules say that after 3 crashes an engine has to be eliminated from the tournament and all its games will not count. So with Leela being 3rd half a point behind Komodo, a 3rd crash of Komodo MCTS would place her 2nd. This situation remained for a little while, where suddenly Komodo MCTS crashed against Houdini! So it was eliminated and Leela now was second. Stockfish - Leela! If Leela would hold with a draw or a win then she would advance to superfinal. If she would lose then Komodo would advance. Leela played well but made a mistake with 21...Rf8? instead of the correct Nf8 but luckily for her Stockfish didn't find the winning(as it was proved later) 22.c5! and played g5 which was still tricky but Leela defended well and managed to draw the game after 93 moves. Now there will be a 100 games match between Leela and Stockfish with 120 minutes + 15 seconds per move time control. This will be held after the TCEC CUP that starts on 21 January 2019. Cup is expected to last 15-20 days. The Leela net that will be used there is yet to be decided but it would probably be a test 30 net and not a test 40 net since test 40 is yet too immature. 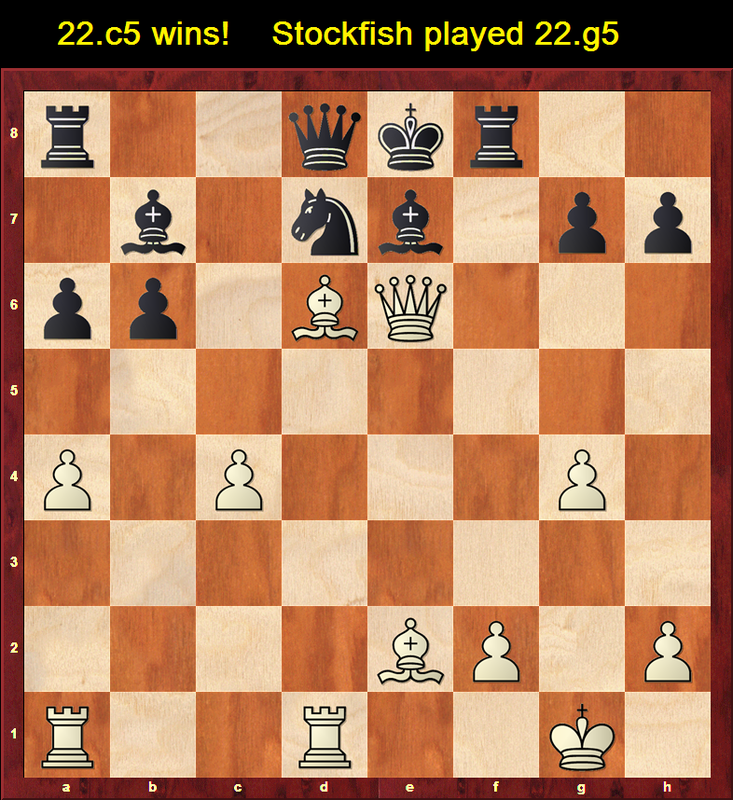 Stockfish will probably use the latest development version at that time. Best game of the tournament must be one Leela - Fire game where it's incredibly rare to see a top engine like Fire in this super fast hardware to get outplayed positionaly that badly that both of his Bishops to be literally dead for most of the game! The issue was that the software for controlling fan speeds was bugged and so the fans were running only at their default speed the entire time. So it wasn’t a hardware issue, the cards are fine. The issue has been resolved now. Is not it a weakness? Just a quick typo report: the 7th paragraph, beginning with "The previous GPU problems for Leela where..." should say "were". Congrats to the team! Looking forward not only to this final but to Season 15, at this pace. Where to play Leela online? GUIDE: Setting up Leela on a Chess GUI.